Transforming all company employees into the principal drivers of internal communication, in just a few months, is not easy. But it’s exactly what ExterionMedia has achieved. As more and more companies struggle to engage employees on intranets and enterprise social networks, the secret to real engagement lies in implementing tools that put employees themselves at the forefront of internal communication. 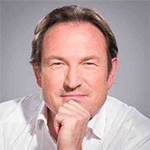 During this webinar we join Jean-François Curtil, President at ExterionMedia, to discuss how the company has transformed a top-down culture into one of collaboration and innovation, by empowering employees as the main players in internal communication. Please note that this webinar is in French. For more details on the ExterionMedia program, or for further information on employee advocacy and highlighting corporate communications in English, please contact us directly here. "Before, our communication was predominantly topdown. But for us, it was important to allow all employees to play a central role in company communication."